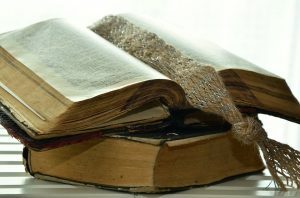 As I laid in my hospital bed earlier this week, fluids and a migraine cocktail dripping into my veins, I was taken back to a day in January of 2011 when I felt the earth shift on its axis and a wave of severe nausea wrack through my body. At first, I thought the flu had made its way into our home. However, within minutes an excruciating pain sliced through my head and I knew what was going on…….. I was suffering from a migraine. I wasn’t too concerned at the time. I had experienced them a handful of times in the past and, though I was miserable, I didn’t think too much about it. Little did I know that life as I knew it had completely changed….not only for me but for my family and friends as well. What followed were debilitating migraines 3-5 times a week, lasting anywhere from hours to days on end. Having absolutely no control over when they’d hit, our lives now revolved entirely around my chronic illness, requiring trips to the ER, Urgent Care and even the hospital for fluids, migraine cocktails, and infusions. No longer am I the person that can be counted on to keep appointments and plans. No longer am I able to be involved in all the fun activities through work and with friends. Now having to limit places I go and asking friends to “please not wear perfume or cologne” because one whiff of some fragrances and I’ll go out….slurring my words, throwing up, having vertigo so bad that I have difficulty walking. My friends and family have now become hound dogs for me, sniffing out places I need to stay clear of. I’ve become a human barometer – sometimes able to predict the weather better than a meteorologist – getting migraines as weather fronts roll in. ….and you know what I’ve learned from all of this? It could be worse. Truly! It’s only a migraine. Sure, it’s extremely painful, but it’s not doing any damage to my body, and there are a lot of people going through far worse than I am right this very minute. I have an amazing support system. Friends and family stepping up to help me steer clear of perfumes and cologne at every turn. God has a plan for me! No matter what I’m going through right now, it’s only temporary and I have only to look to God for the strength I need to get through. I am completely humbled by this and still stand in awe when I think that no matter what, God has me! God brings something good out of EVERYTHING! Absolutely everything! I started Footprints of Inspiration because I’ve been so sick and want to do what I can to make a difference in someone else’s life. Without these migraines, I wouldn’t have the experience to help someone else through it. I won’t give up trying to find treatment. Oh, don’t get me wrong. Sometimes I need a break and I think anyone suffering from a chronic illness should keep it “in check.” You can’t let it consume your entire life, but you have to be your own advocate, and there has to be a balance. I listen to my body now. When I’m exhausted and needing to rest, I stop. This isn’t always the fun choice, but it’s the right choice. I will not become a prisoner in my own home. This one isn’t always easy. When I’m feeling great, the idea of going somewhere knowing that I may run into someone wearing perfume or cologne and ruin a perfectly good day is tough, but I also know being tucked away at home all the time isn’t a life that I want to lead either. We can live on far less than what we’ve lived on in the past. Turns out, we really don’t need all the extra “stuff” in our life. Sure it’s fun to have some of the material things, but we definitely don’t need them. Our life hasn’t suffered by not having all the extra “stuff” in it. 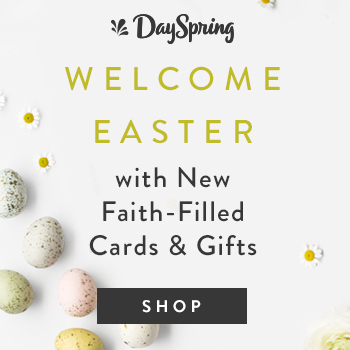 In fact, we’ve learned that we are far richer than we ever thought we were – perhaps not monetarily because of all the work I miss, but definitely in the blessing department. To be a better friend. We all get busy with our own lives that when someone we love is suffering from an illness, we often forget to check on them. It’s not that we don’t care, it’s just that we get busy. After going through everything I have, I try to check on my friends more often. I take advantage of every good day that I have. I don’t know how many of them I’m going to get. Let’s face it, none of us know this. We need to treat every day as the gift that it is. Simply fill out the form to get our FREE 10 Scriptures for Chronic Illness Warriors delivered directly to your inbox and receive regular updates, tips and promotions to help you live a life you can be proud of. My migraines have taught me that I am completely blessed! I have an amazing support system and God has shown me how to slow down and see the world and all that He has created. All that He wants for us….. for me! I’m listening now, God, I’m listening! 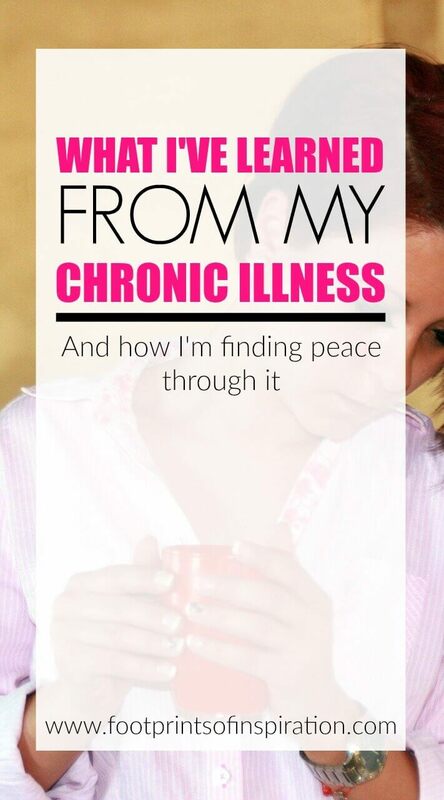 Do you suffer from a Chronic Illness? Comment below and tell me how you cope. If you’re struggling with how to get things done when you’re suffering, you may find How to Still be Productive With a Chronic Illness helpful for you. Thanks for stopping by today! 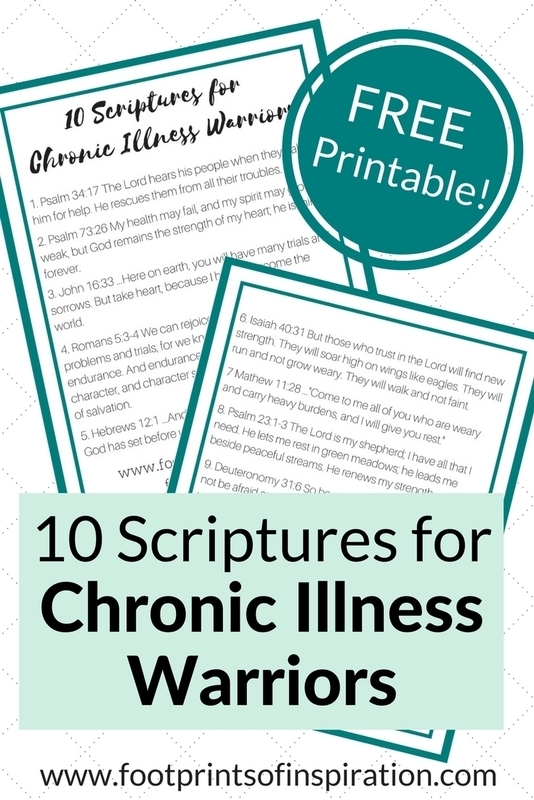 Be sure to download our free printable, “10 Scriptures for Chronic Illness Warriors, by filling out the form below! P.S. Pin this post so you can refer back to it later! Update: I’m beyond excited to share with you that in May of 2016, I had a hysterectomy and my migraines have decreased substantially! I knew my biggest trigger was from too much estrogen, but trying to get a doctor to listen has been difficult (unfortunately, many of you know this well). I have a new gynecologist who was willing to think outside the box and I’m so very grateful to him. I still suffer when I smell certain perfumes and colognes, but I’m doing so much better. To say that it’s been life-changing is not too dramatic at all! Special Note: This post may contain affiliate links. Unless otherwise noted, by purchasing products through these links, I may receive a small commission, however, your cost for the item does not change. Through this commission, I can continue my blog and purchase items to help in the day to day running of Footprints of Inspiration.